Google Home is a smart device that acts as a voice assistant. This smart device is hands free and will help you achieve more through simple voice activation. Google Home is here to help. Get hands-free assistance from Google Home. This is one smart device! 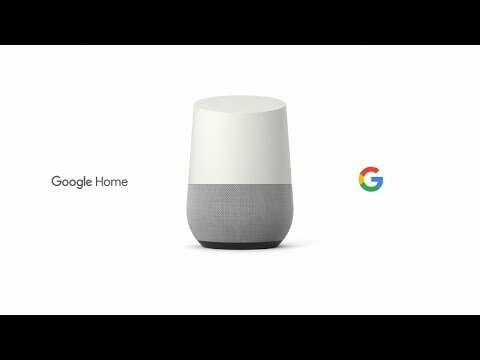 Google Home is designed to provide hands-free help within your home through voice activation. Simply voice activate Google Home and get answers, enjoy entertainment, play songs, get reminders - all hands-free! Request to play music! With Google Home you can play music and playlists. Google Home features a high-excursion speaker.